I often think our generations communicate differently… but do we really? My mom’s voicemail is a request to call our house phone. But my friends and I scoff at voicemails, too– why didn’t you just text? My mom’s friends have an endless email thread, but I keep Facebook message threads with groups of friends about our adventures. 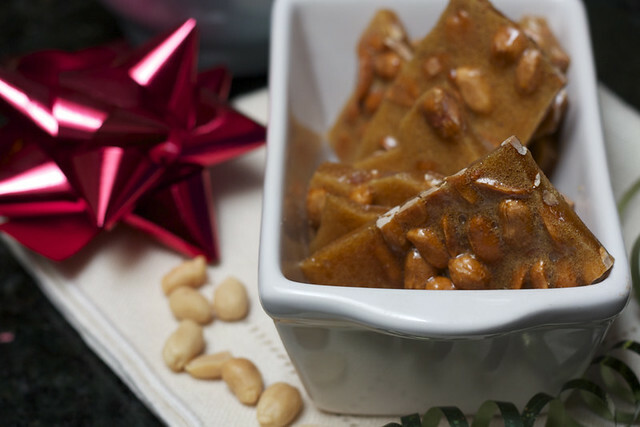 This easy peanut brittle recipe is an invitation to cook with your friends near and far. Call, text, gchat, Facebook message (even using the share buttons below!) someone you care about and send it to them. 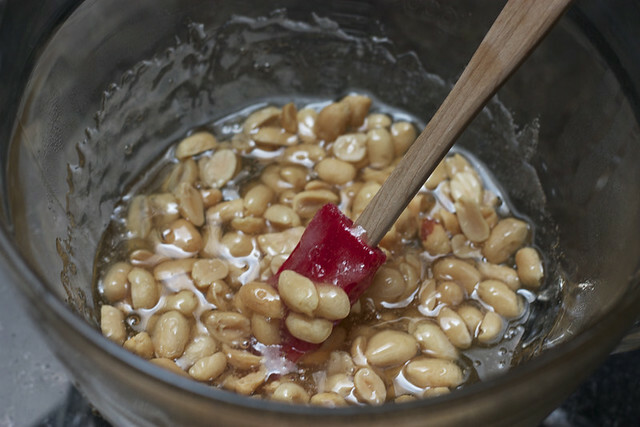 Take 15 minutes together in your separate kitchens and make this peanut brittle together. Take the first tooth-breaking bite at the same time. Savor the moment together, no matter how many miles apart you are. It’s kind of like looking up at the same moon, right? But tastier. 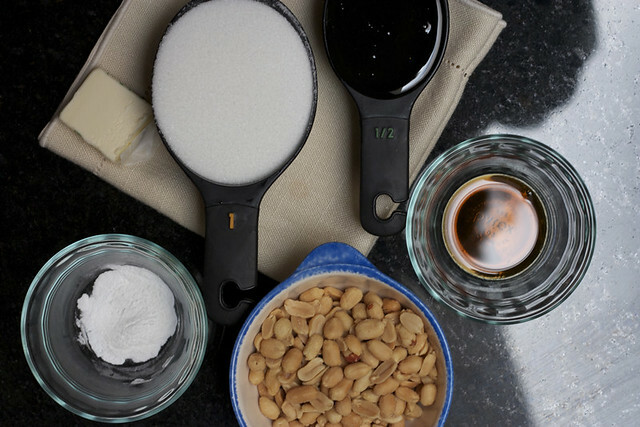 Measure out all ingredients before starting because the recipe comes together quickly. Grease a cookie sheet, or grease aluminum foil lining a cookie sheet. Stir together sugar and corn syrup in a microave safe, 2-quart casserole dish or Pyrex. Microwave for 4 minutes. Immediately stir in peanuts. Microwave until mixture turns light brown, 3-5 minutes. Stir in butter and vanilla. Microwave 1-2 minutes. Stir in baking soda until foamy. Immediately pour on greased cookie sheet. 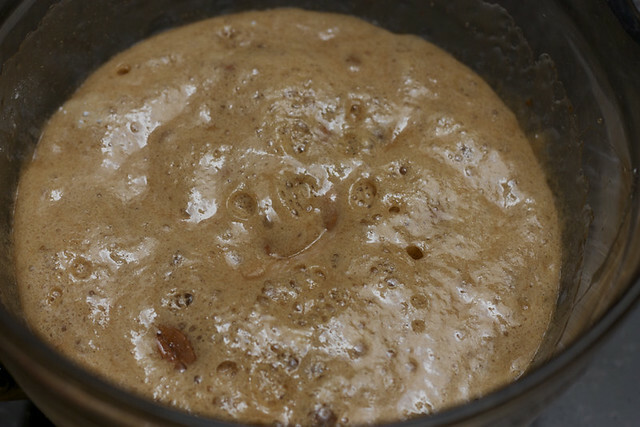 Spread mixture into a thin layer and let cool. 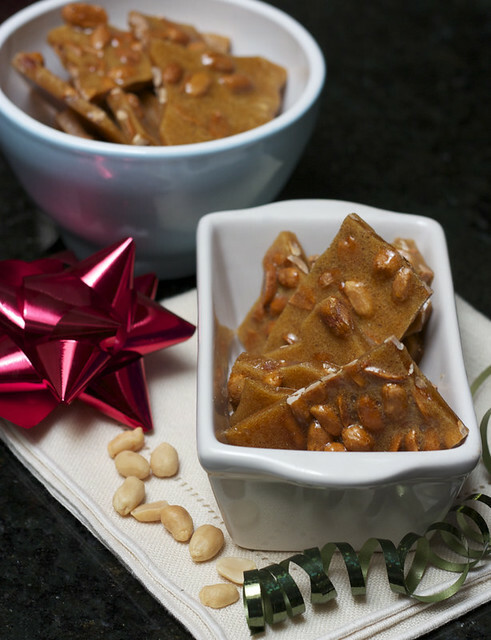 Break into pieces and enjoy your easy peanut brittle!